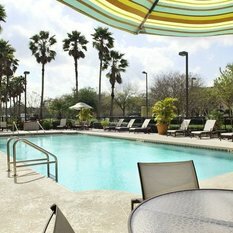 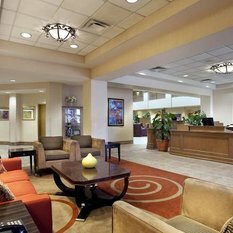 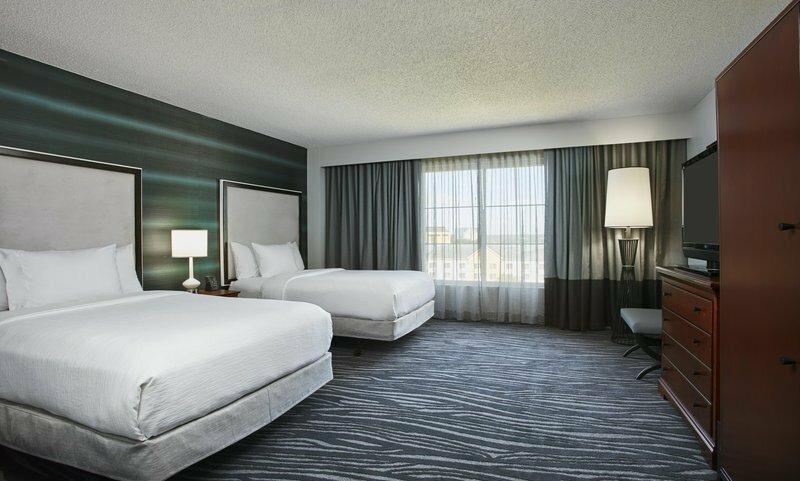 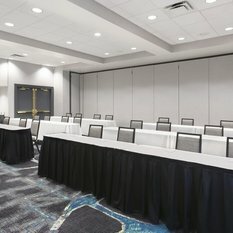 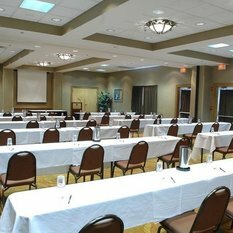 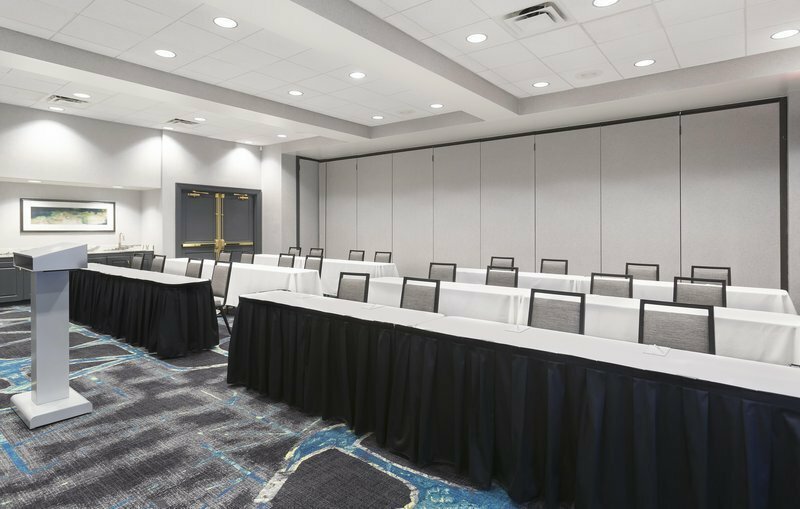 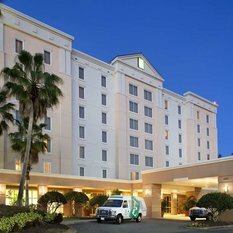 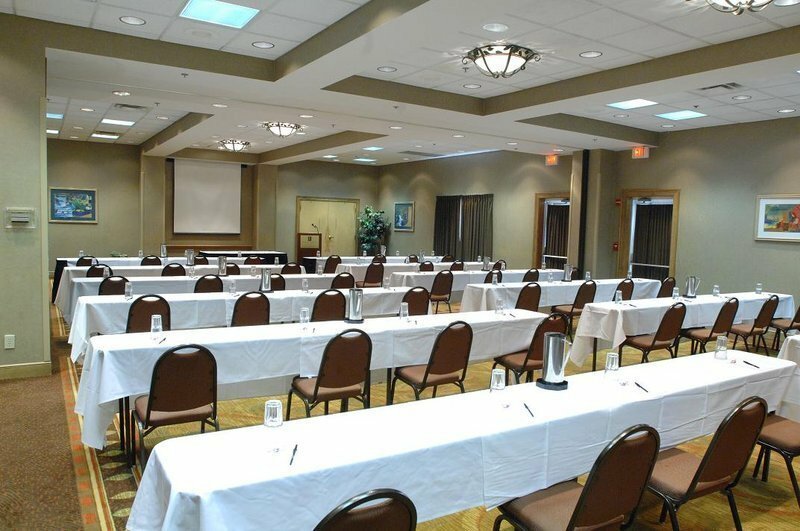 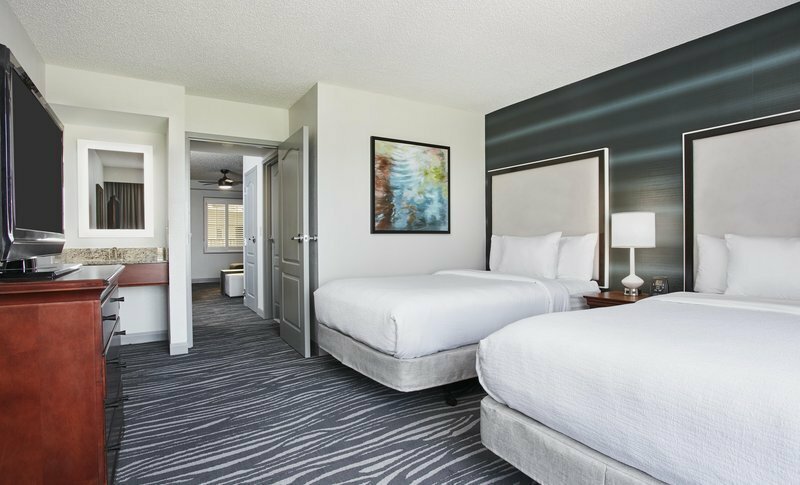 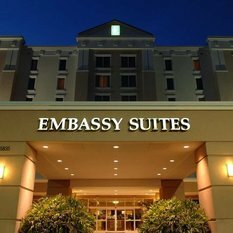 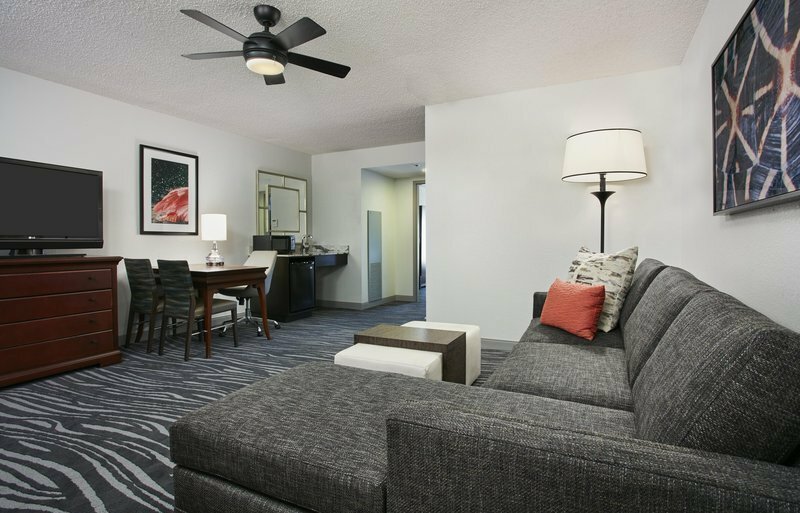 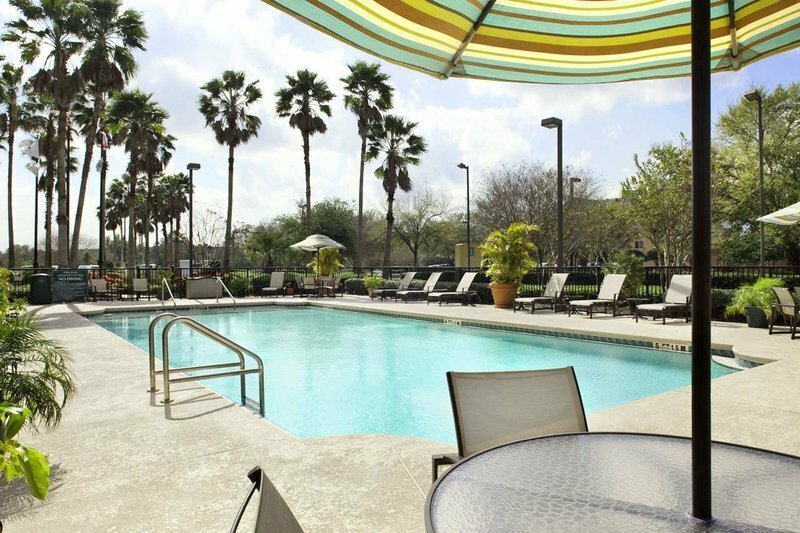 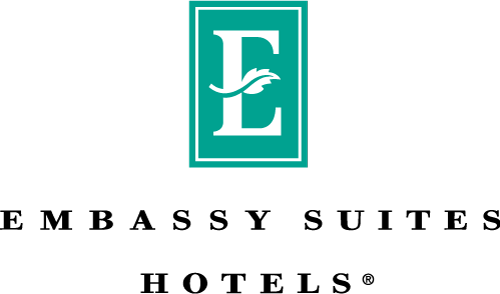 Our Embassy Suites Orlando - Airport hotel is conveniently located less than 1 mile from Orlando International Airport (MCO). 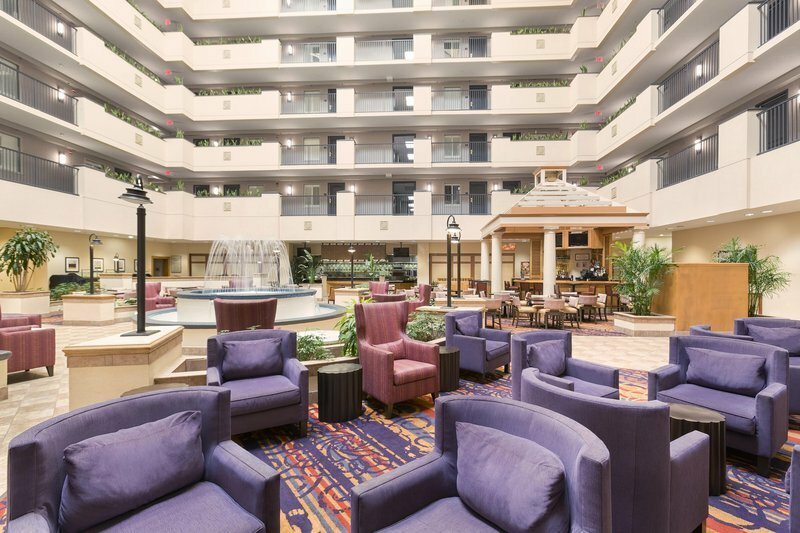 Enjoy complimentary 24-hour airport shuttle service (accessible transportation with advance notice) and a free made-to-order breakfast including a custom omelet, fresh fruit and waffles. 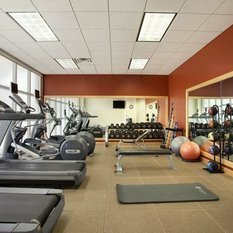 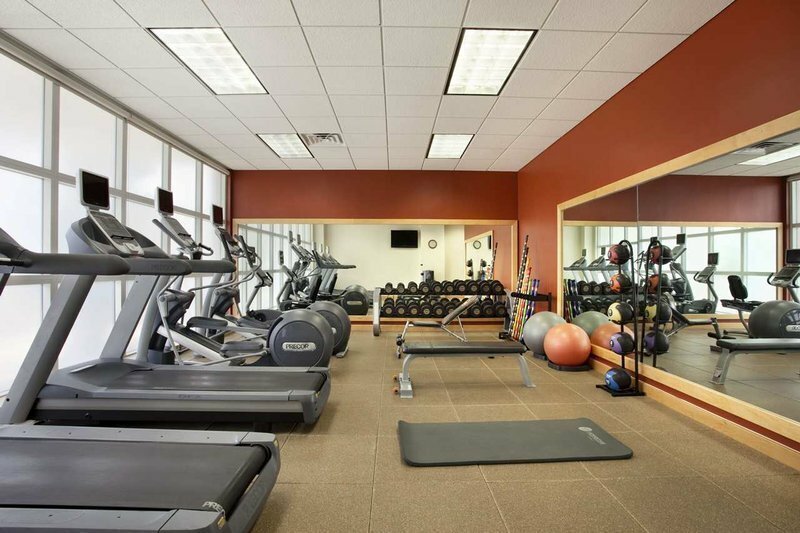 Work out in our fitness center, take a dip in the outdoor pool or socialize with drinks and a light snack in the open-air atrium at our complimentary Evening Reception. 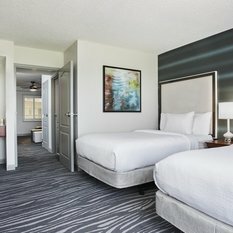 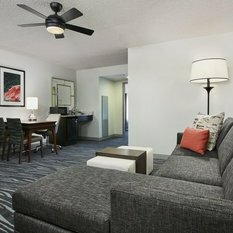 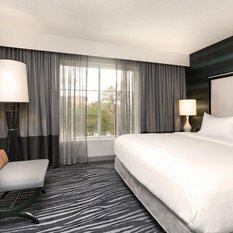 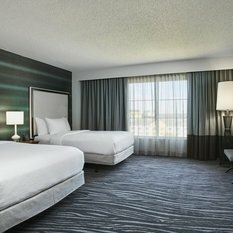 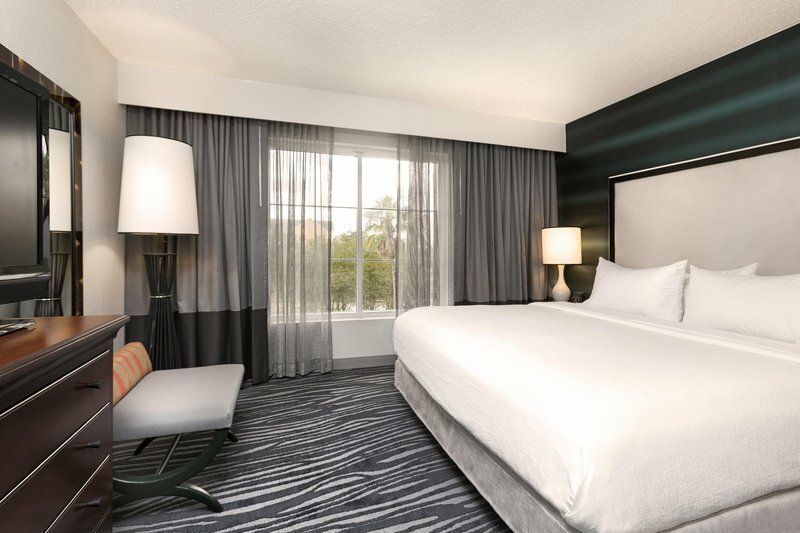 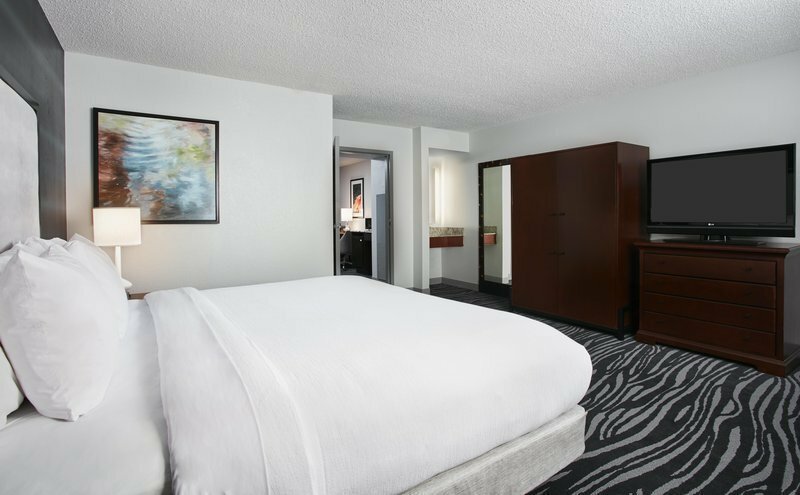 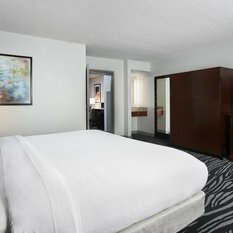 This all-suite hotel, which underwent a complete renovation of its suites in September 2016, features two-room suites with queen-sized sofa beds, work tables and wet bars. 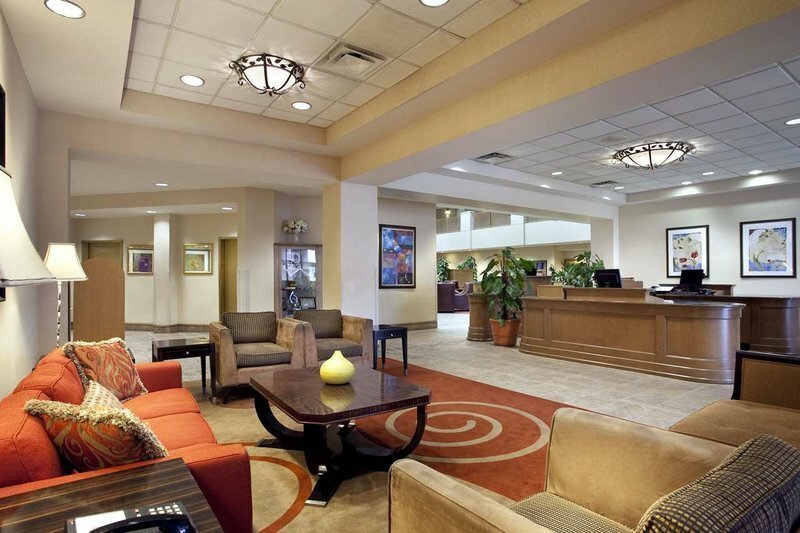 Our hotel is ideal for conducting business or visiting the city’s world-famous theme parks. 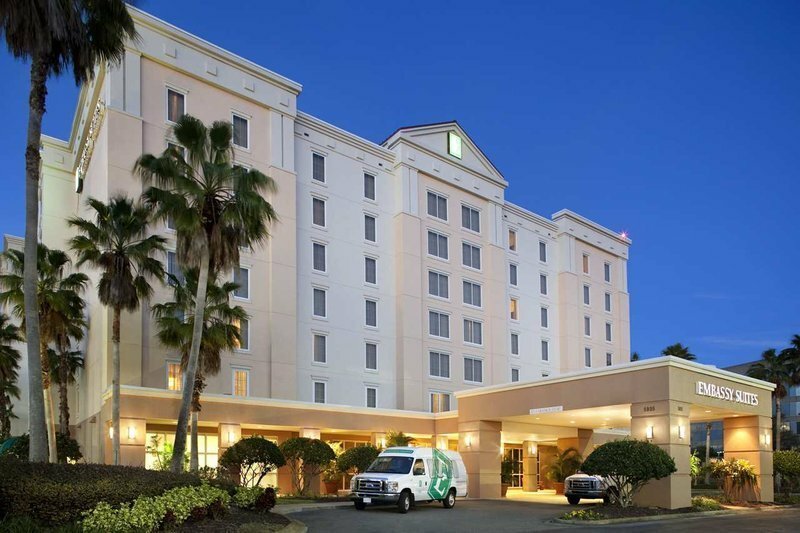 Ride the shuttle to nearby businesses such as Oracle, Johnson Controls, Procter & Gamble and simulator training centers within a 2-mile radius of the hotel. 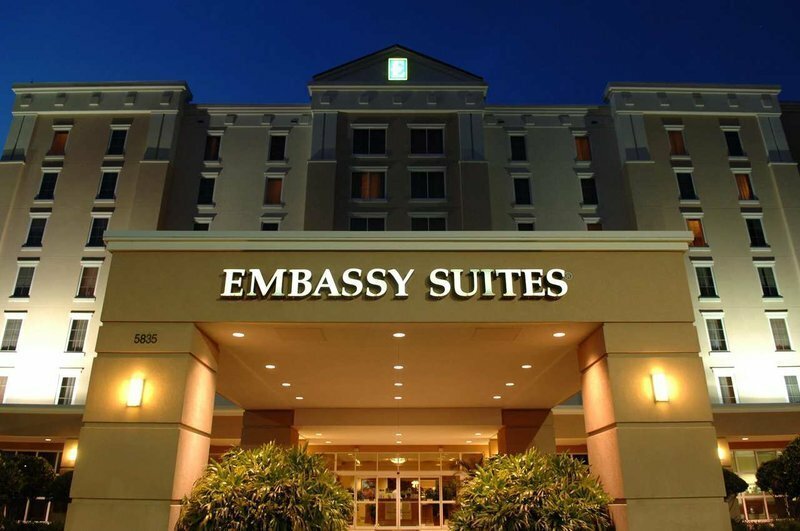 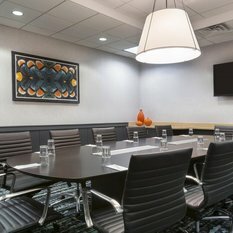 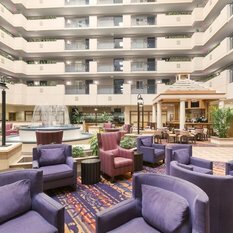 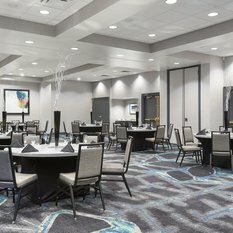 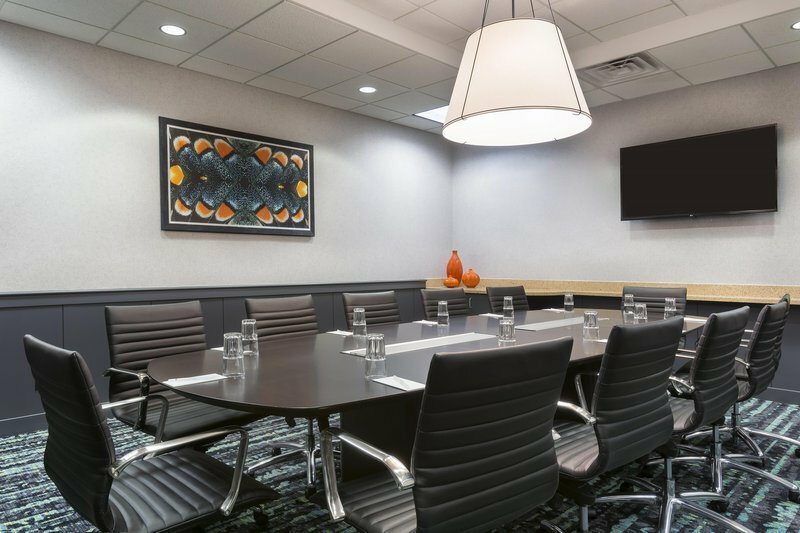 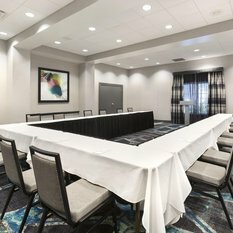 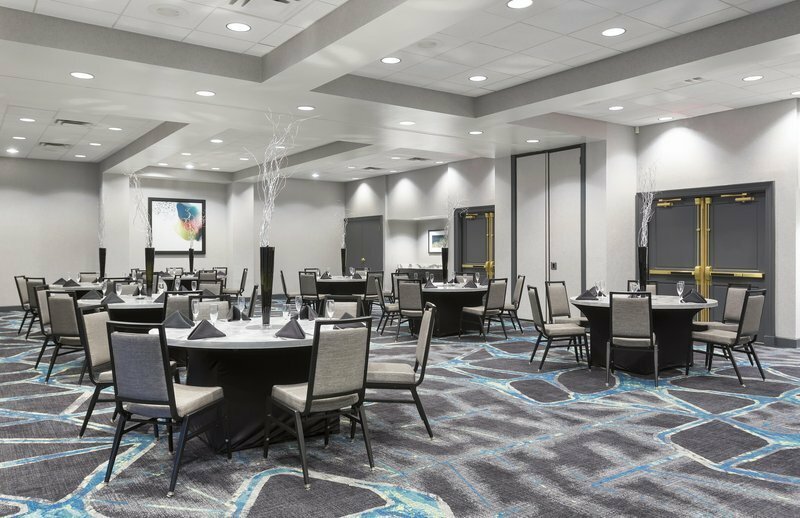 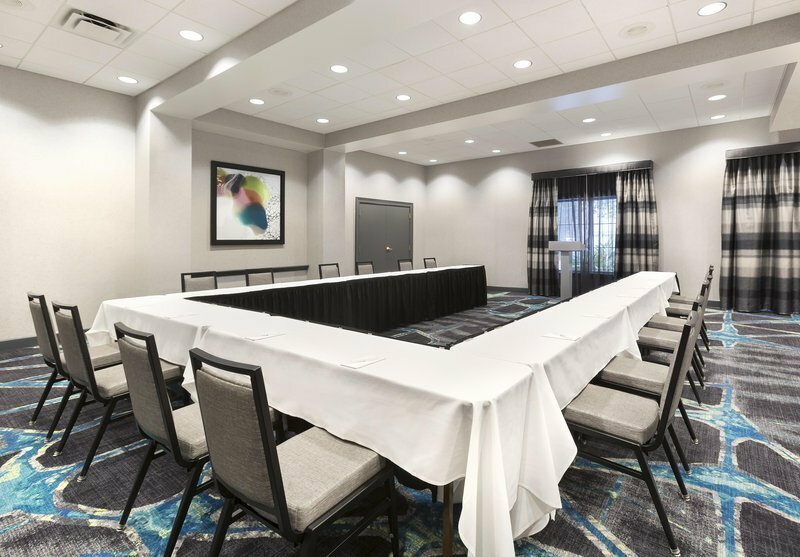 This Embassy Suites Orlando - Airport hotel offers a variety of dining options such as traditional favorites to soups and salads, hamburgers and entrees at The Kitty Hawk Café or take advantage of in-suite dining.